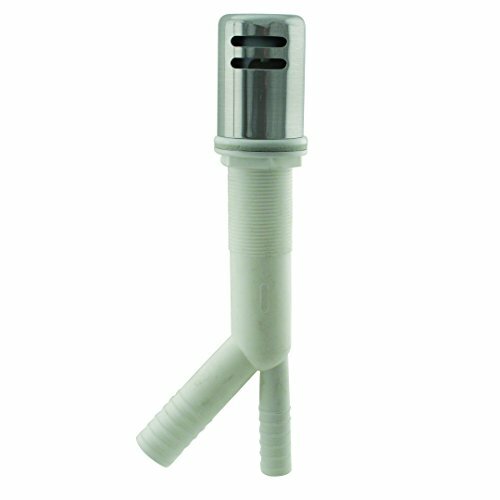 The Westbrass air gap protects potable water from contamination by preventing dirty dishwasher water from overflowing into your main water lines, as required by code in many states. Featured with a cap available in a variety of finishes, the Westbrass brand is a stylish alternative to complement your other decorative fixtures. If you have any questions about this product by Westbrass, contact us by completing and submitting the form below. If you are looking for a specif part number, please include it with your message. Easyflex EF-DC-38C38L-96 Stainless Steel Braided Dishwasher Connector, 3/8" C x 3/8" EL, 96"